The Dominican Global Film Festival proudly paid homage to the first Dominican actress to achieve Hollywood fame: María Montez, the Queen of Technicolor. Hollywood fame and who went on to become a major force in world film. Next year, 2012, marks the centennial anniversary of her birth. For that reason, the Dominican Global Film Festival has chosen to honor María Montez, the Queen of Technicolor, and place her at the top of our list of Tributes. We are equally proud to have with us this year an impressive list of national and international film icons. We welcome Geraldine Chaplin, Danny Glover, Agliberto Meléndez, Moctesuma Esparza and Rafael Solano. María África Gracia Vidal (1912 - 1951), born in Barahona province, was as famous in the 1940s for her exotic beauty as for her talent as an actress who played in a series of adventure movies filmed in Technicolor. Her seductive image on the screen was accentuated by her fanciful costumes and sparkling jewelry. 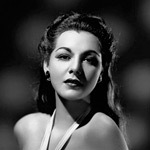 Throughout her career, Maria Montez acted in 26 films, 21 of which were made in the United States and five in Europe. Ms. Montez also wrote three books: Forever Is a Long Time, Hollywood Wolves I Have Tamed and Reunion In Lilith, of which only the first two were published. While working in Hollywood, she met French actor Jean-Pierre Aumont and they married on July 13, 1943. They had a daughter in 1946, María Cristina (known as Tina Aumont) then moved to Paris where Maria Montez passed away at the age of thirty nine. Born in Santa Monica, California on July 31, 1944, Geraldine Chaplin is the first daughter of Charlie Chaplin and Oona O’Neill. After living the early part of her childhood in the United States, the Chaplin family moved to Switzerland where Geraldine finished high school. Later she studied dance with the Royal Ballet of London. Her un-credited film debut came the 1952 film, “Candilejas,” directed by and starring her father. Geraldine gained relevance as an actress on the big screen in the 1960s when she played Tonya in “Doctor Zhivago” (1965), the epic film directed by David Lean based on Boris Pasternak’s novel. Also in the 1960s, she had a relationship with Spanish film director, Carlos Saura, which whom he bore a son, Shane. She and Mr. Saura collaborated professionally in a good number of films throughout the 1960s and 1970s. One of their first films together was “Peppermint Frappé” (1967). She also playedin “Stress-Es Tres-Tres” (1968), “La Madriguera” (1969), “El Jardín De Las Delicias” (1970), “Ana y Los Lobos” (1973), “Cría Cuervos” (1976), “Elisa, Vida Mía” (1977), “Los Ojos Vendados” (1978) and “Mamá Cumple Cien Años” (1979). Throughout her prolific career, Geraldine Chaplin also starred in Richard Lester’s, “The Three Musketeers” (1973), an adaptation of Alejandro Dumas’s novel in which she plays Queen Ann. She also played in Robert Altman’s “Buffalo Bill” (1976) and “A Wedding” (1978); Alain Resnais, in the “Life is a Bed of Roses” (1983); and with Martin Scorsese, who directed her in “The Age of Innocence” (1993). In the biographical film about her father, “Chaplin” (1992), under the direction Richard Attenborough, she played his grandmother, Hannah. Geraldine won a Goya for best actress for her role in “En La Ciudad Sin Límites” (2002). She was nominated again for a Goya for her work in the thriller “El Orfanato” (2007). 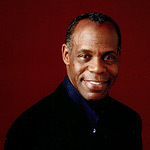 Actor, producer and humanitarian Danny Glover has been a commanding presence on screen, stage and television for more than 25 years. As an actor, his film credits range from the blockbuster “Lethal Weapon” franchise to smaller independent features, some of which Glover also produced. In recent years he has starred in an array of motion pictures including the critically-acclaimed “Dreamgirls” directed by Bill Condon and in the futuristic 2012 for director Roland Emmerich. He also had roles in the comedy “Death at a Funeral” for director Neil LaBute and in the moving drama “Dear Alice” for Swedish director Othman Karim. Glover has gained respect for his wide-reaching community activism and philanthropic efforts, with a particular emphasis on advocacy for economic justice and access to health care and education programs in the United States and Africa. For these efforts Glover received a 2006 DGA Honor and was honored with a 2011 “Pioneer Award” from the National Civic Rights Museum. Internationally Glover has served as a Goodwill Ambassador for the United Nations Development Program from 1998-2004, focusing on issues of poverty, disease and economic development in Africa, Latin America and the Caribbean. Glover was presented in 2011 with the prestigious Medaille des Arts et des Letters from the French Ministry of Culture and was honored with a Tribute at the Deauville International Film Festival. Currently Glover serves as UNICEF Ambassador. On the small screen, Glover won an Image Award, a Cable ACE Award and earned an Emmy nomination for his performance in the title role of the HBO Movie “Mandela.” He has also received Emmy nominations for his work in the acclaimed miniseries “Lonesome Dove,” the telefilm “Freedom Song” and as a director he earned a Daytime Emmy nomination for Showtime’s “Just a Dream”. Most recently, Glover made guest appearances on the popular television series Leverage and Psych. Vin began his film career as director and screenwriter. His first major work was the short film “Multi-facial,” (1994), which was selected by the prestigious Cannes Film Festival. 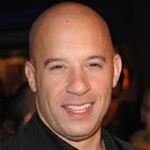 In 2006 he appeared at the end of the film “The Fast and the Furious: Tokyo Drift” in the new role of Dominic Toretto. This same year, he was in “Find Me Guilty,” where he played gangster Giacomo "Jackie" DiNorscio. “The Fast and the Furious” was so successful that in 2009, the fourth movie in the saga was shown. This year, a fifth film is being made with Vin Diesel as the main character. Vin Diesel is one of the promoters of the Global Filmmaking for Peace and Development program, developed and promoted by FUNGLODE, One Race Film Foundation and supported by UNESCO. This program promotes teaching film to students with limited economic resources from around the world. Vin Diesel and his father Irving Vincent, who was honored at last year’s IV Dominican Global Film Festival, together direct the One Race Film Foundation. This non-profit organization trains young people in Haiti, Trinidad and Tobago and India. His contribution to the development of the Dominican film industry and his influence on an entire generation of Dominican professionals is more than enough to deserve our recognition and gratitude. 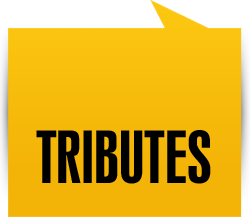 With this, we would like to welcome Vin Diesel and express our appreciation for his commitment and dedication. 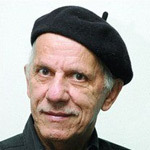 Born in Altamira, Dominican Republic in 1942, Agliberto Meléndez studied film for two years at New York University during in the mid-seventies. Upon returning to his country, he quickly made a short film, “The Son” (El hijo) in 1979. Several years later he made a documentary about the ill-fated painter, Gilberto Hernández, “The Magical World of Gilberto Hernández” (1983). By 1986, his determination to make films was so strong that he invested his very last dime into his projects. It got to the point that he used his house as collateral and begged for loans from friends and family to produce his project at the time, “Un pasaje de ida” (A One Way Ticket). Based on the tragedy of the cargo ship, the Regina Express, in which twenty two male and female police offers lost their lives. They were aboard the ship with the goal of clandestinely entering New York. The documentary looks at the motivation behind this massive emigration to the United States, the fractures it caused in families and the problems immigrants face. Filmed totally in the Dominican Republic with Dominican actors and technicians, the film was viewed by nearly 100,000 people when it opened in Santo Domingo. Meléndez’s film was selected to take part in nearly twelve film festivals, including in London, Washington, New York and Biarritz. It received outstanding recognition with such awards the People’s Prize in Huelva, honorable mention at the OCIC in Cartagena and an award for the Best First Film in Havana, Cuba. This modest film was not only the forerunner of the emerging Dominican film industry but it also involved the participation of the well-known protagonists of the slow but sure take-off experienced by Dominican film industry starting from the mid-nineties until today. These include filmmaker Pericles Mejía, actor-director Ángel Muñiz and photographer Pedro Guzmán Cordero. Today, Agliberto Melendez is working on a new project, “Del color de la noche” (Color of the Night), based on the life of political leader José Francisco Peña Gómez. Moctesuma Esparza, born in California, United States on March 12, 1949, is an award-winning producer, entertainment executive, entrepreneur and community activist. Mr. Esparza is known for his contributions to the film industry and the commitment he assumed as director of the Maya Cinemas to the creation of opportunities for Latinos everywhere. Esparza works with Robert Katz in Esparza / Katz Productions and directs Maya Entertainment, a vertically integrated media content company that provides full motion picture distribution and production. Moctesuma Esparza is “an outspoken promoter of Latino Films” and has produced more than twenty films, several for television. 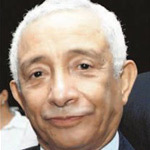 He has won more than 200 prizes throughout his life. 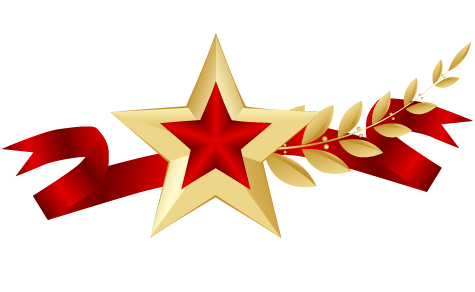 These prizes and honors include an Oscar nomination, a nomination for a Golden Globe, an Emmy, a Clio and an ALMA Prize. 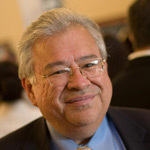 Esparza, whose father was a refugee from the Mexican revolution, participated in the 1960’s-era struggles for the civil rights and equality of Mexican-Americans. He remains committed to public service, donating his time to educational, cultural, and professional organizations, especially those that aim to educate Latinos in the business of media production. Born in Puerto Plata on April 10, 1931, he studied musical theory, violin and cello with the Maestro Manuel Pla Cocco. He played harmony in the parish church in Puerto Plata, where he directed his own choir at the age of thirteen. He began his formal music studies on the piano with Maestro Vicente Grisolla then later with Rafael Arzeno. In 1950, he moved to the capital, Santo Domingo, to continue his education at the National Conservatory of Music. In 1959, Solano began to appear on the television show, La Hora del Moro. In 1963, Solano went to New York having been hired by director, Charlie Fisk to perform at the Hotel Americana. During this period, he also took private classes in contemporary composition with the famous composer, jazz pianist, and music teacher, Hall Franklin Overton while also studying at the New School for Social Research in a class with Overton as his teacher. Solano participated in making and producing the first record made totally in the Dominican Republic, along with the engineer, Pedro Bonilla. Solano was the creator of the first Voice Festival (Festival de la Voz) in the country, an event that was held over a period of nine years, since 1971. He was the founder and creator of the Show del Mediodía (Noontime Show), along with Nobel Alfonso and Mar Cordero. His signature song, Por amor is considered an international hymn for the past 30 years. He made widely popular his original songs such as Dominicanita, Pensándolo bien and Como Juan. These songs, written by Solano, have been sung by such outstanding singers as Sonia Silvestre Lope Balaguer, Fernando Casado, Marco Antonio Muñiz, Vicky Carr, Danny Rivera, Placido Domingo, among others. In honor of his lifetime of labor, Maestro Solano has been awarded the Order of Duarte, Sánchez y Mella, by the Dominican Government.